It might be a difficult name to pronounce, but it is one to be remembered for its famous product of the highest quality, as well as its idyllic landscape and charming hamlets. Conegliano Valdobbiadene is a small hilly area between Venice and the Dolomites in Veneto, home to the Prosecco Superiore since 1876. 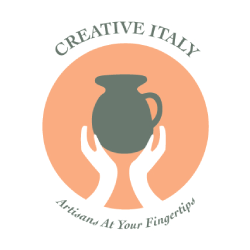 It is a fantastic destination for foodies, and at Italian Special Occasions DMC we can help you plan and organize authentic food tours for leisure groups or corporate events. Prosecco is a dry white wine made from the grape of the same name. This type of wine produced in Conegliano Valdobbiadene is also known as Prosecco Superiore. Since April 2010, it has become part of Italy’s premium wine category with the DOCG quality label, in an effort to safeguard and celebrate this precious treasure created by man and nature. 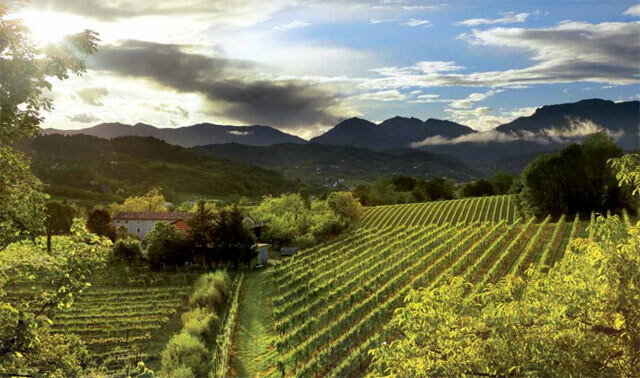 Conegliano Valdobbiadene’s Prosecco Superiore is the product of a particular terroir, a mild climate and the skills of men who have passed down the art of their handcrafted labor throughout generations. The area is adorned by vineyards that gently descend on the steep slopes of the hills, and has been nominated to become a UNESCO World Heritage Site. To understand the wine history of this land, you must pay a visit to the School of Wine, which is one of just eleven institutes that study oenology in Italy. In fact, the long wine-making tradition of Conegliano Valdobbiadene begun in 1876 with the foundation of Italy’s oldest and most prestigious wine school – the School of Oenology in the town of Conegliano. The area is also home to the Experimental Viticulture Institute, where several Italian grape varieties have been bred and even saved from extinction. 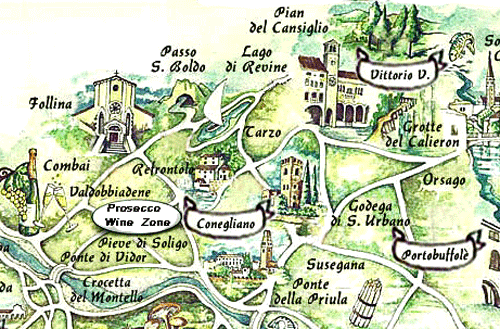 Next, it is time to explore the taste and looks of Conegliano Valdobbiadene, and the best way to do that is to enjoy prosecco tasting in the 15 towns that compose the DOCG district: Conegliano, Susegana, San Vendemiano, Colle Umberto, Vittorio Veneto, Tarzo, Cison di Valmarino, Follina, Miane, San Pietro di Feletto, Refrontolo, Pieve di Soligo, Farra di Soligo, Vidor e Valdobbiadene. Uniting these villages is the Road for Prosecco and the Wines of Conegliano Valdobbiadene Hills. Imagine yourself tasting Prosecco Superiore as well as other local products, such as roasted ‘marroni’ chestnuts (IGP label) or the ‘formajo inbriago’ (translated as drunk cheese) that matures in the grape pomace from Prosecco or from other local red and white wines. The location for such tastings? Lovely bars in the historic city squares or alleys to interact with the locals, but also prestigious and mesmerizing locations, such as in Villa dei Cedri. This neo-classical style mansion was built in 1890 in Valdobbiadene, and is surrounded by a large park with many Lebanese cedars. The area is also dotted by majestic castles, such as the 14th-century Castle of San Salvatore in Susegana. It is owned by the Counts of Collalto and is considered to be one of the largest fortified hamlets in Italy. 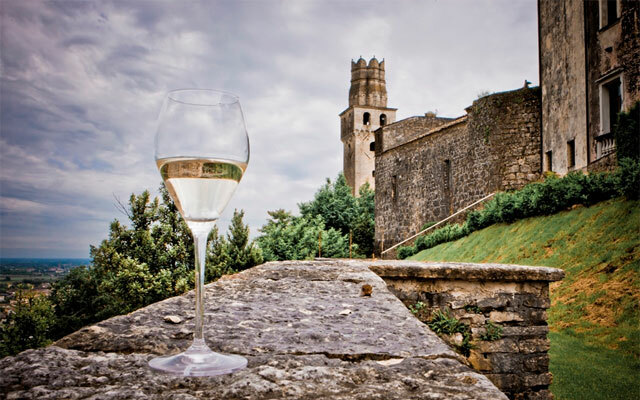 Every year it hosts “Vino in Villa”, one of the most important events in the local wine tourism calendar. Another beautiful landmark is the medieval castle of Conegliano: from its terrace located on the tower, the views are simply awe-inspiring, spanning across the vineyards of San Pietro di Feletto, the hills of the Veneto Prealps and – on a clear day – even Venice’s Lagoon! To witness some locals in action reenacting the history of their territory, in September you can head to the castle of Vidor, where the surrounding villages compete in the Palio. This event commemorates the historic assault of the barbarians on the castle that took place around 1200. During this spectacular competition, participants must carry a wooden ladder from the St. Bona Abbazia to the slopes of the hill on which the castle sits, and then from here they continue carrying a heavy battering ram to the summit. There are a number of other events in the Conegliano Valdobbiadene area, usually involving historic aspects or wine & food. 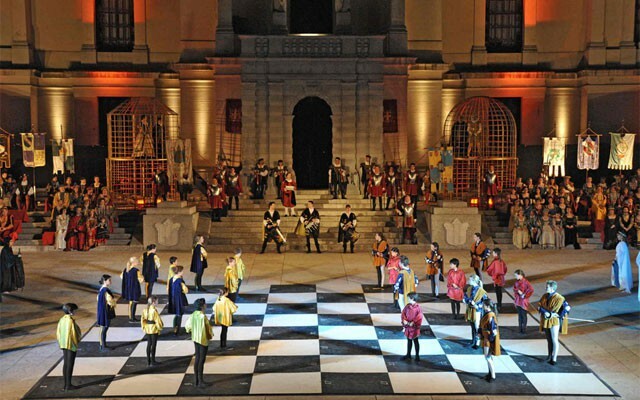 For example, every June local people dressed up in Renaissance costumes take part of a checkers game called Dama Castellana (Conegliano). In September, instead, different corners around town become the protagonists of Enodama, a checkers tournament during which white and red wine glasses are used instead of pawns! While the area is mostly known for Prosecco Superiore, it also produces many other types of delicious, quality wines. The Colli di Conegliano (DOCG) are white and red wines created by blending the most noble grape varieties of the Conegliano Hills. The sweetish Refrontolo Passito (DOCG) was lauded by Mozart in his masterpiece “Don Giovanni”. The Torchiato di Fregona (DOCG) is a so-called ‘meditation wine’ for its rich and warming flavor. And finally, the Verdiso (IGT) is created with a centuries-old grape variety, indigenous to the Alta Marca Trevigiana, with limited production. 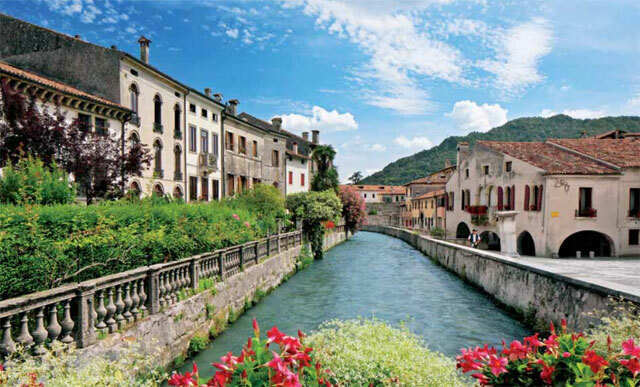 The magical area of Conegliano Valdobbiadene is ideal for food vacations, for corporate retreats and team building activities, and for fairytale weddings surrounded by vineyards. Let us make your Italian special event a walk in the park: contact Italian Special Occasions DMC now.